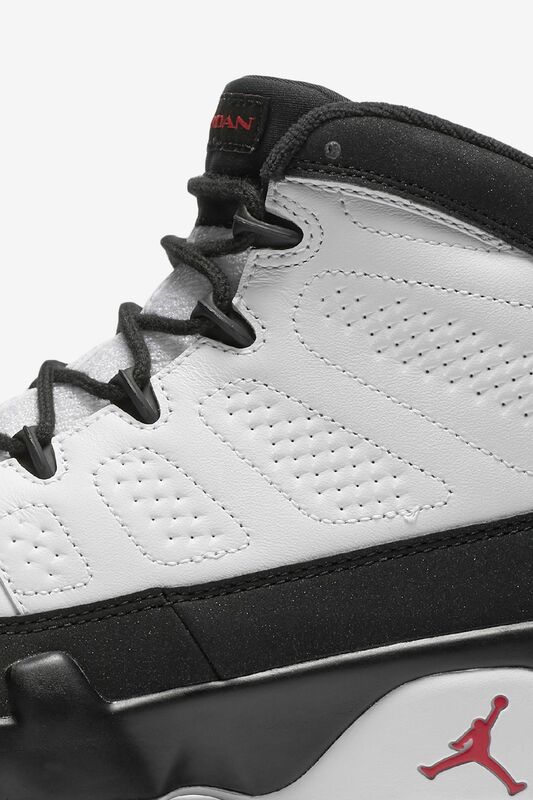 The Air Jordan IX arrived during MJ’s first retirement from the league. 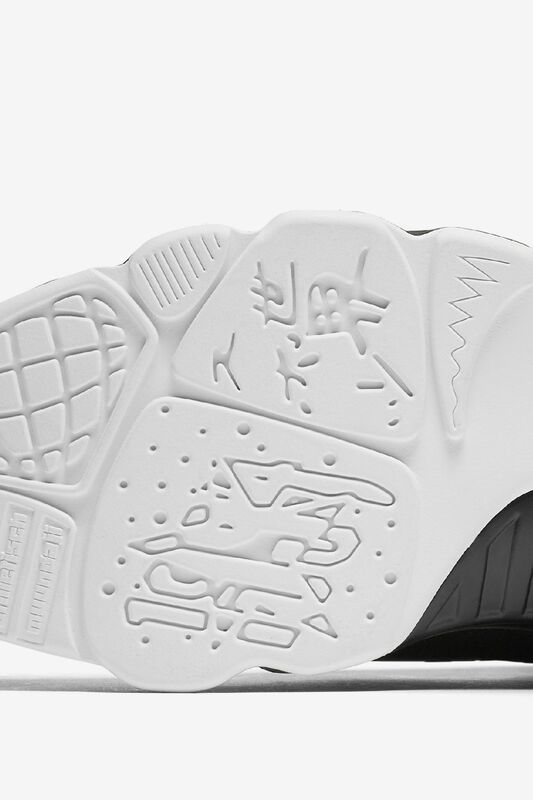 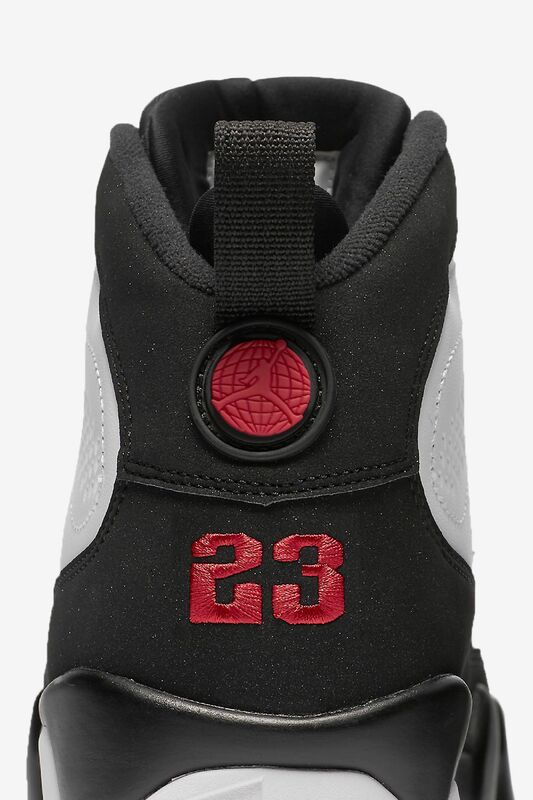 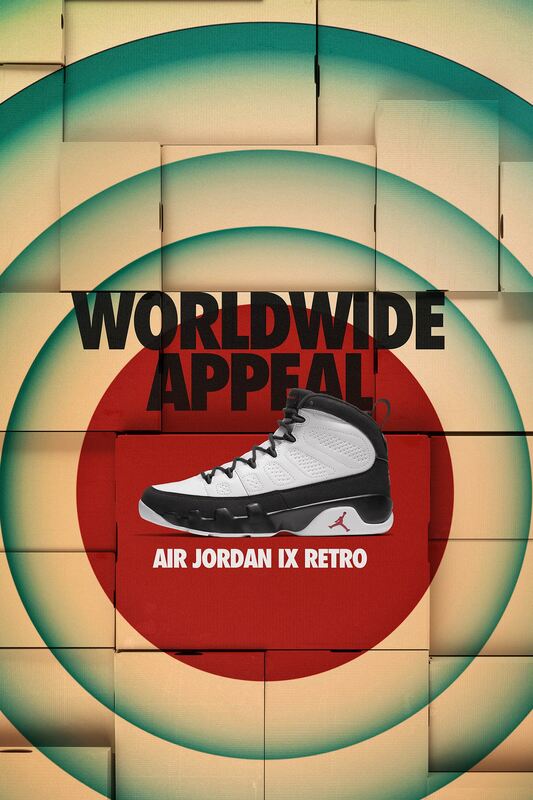 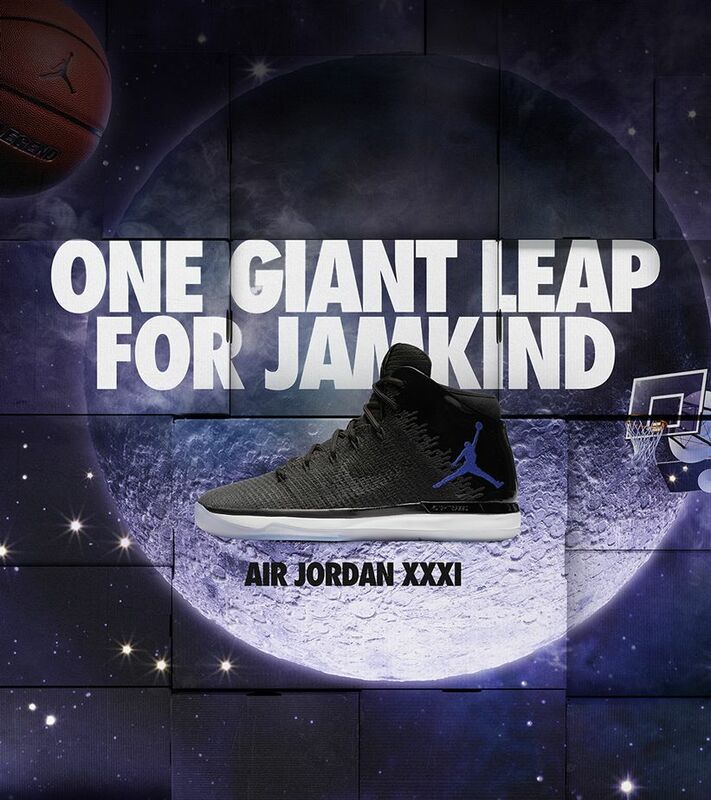 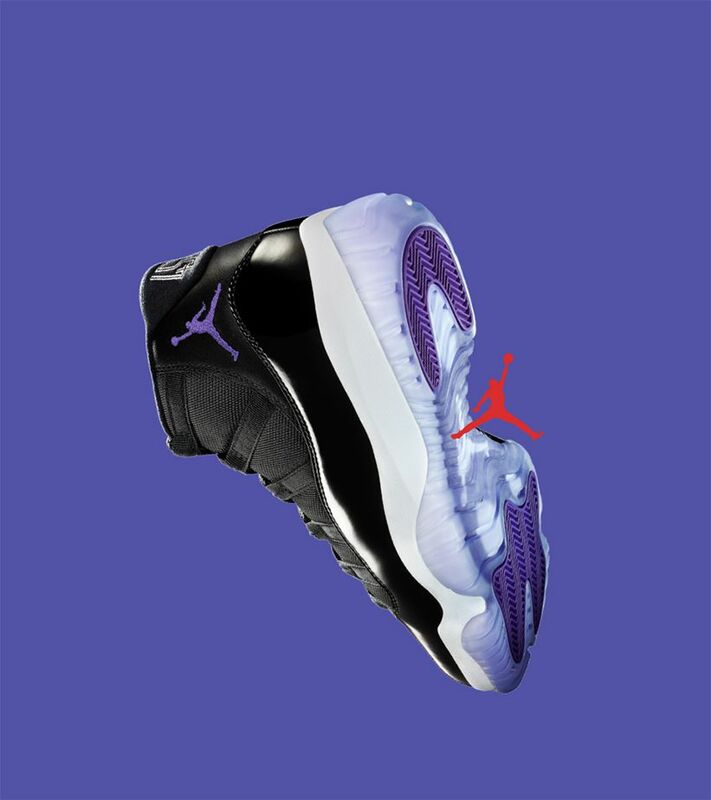 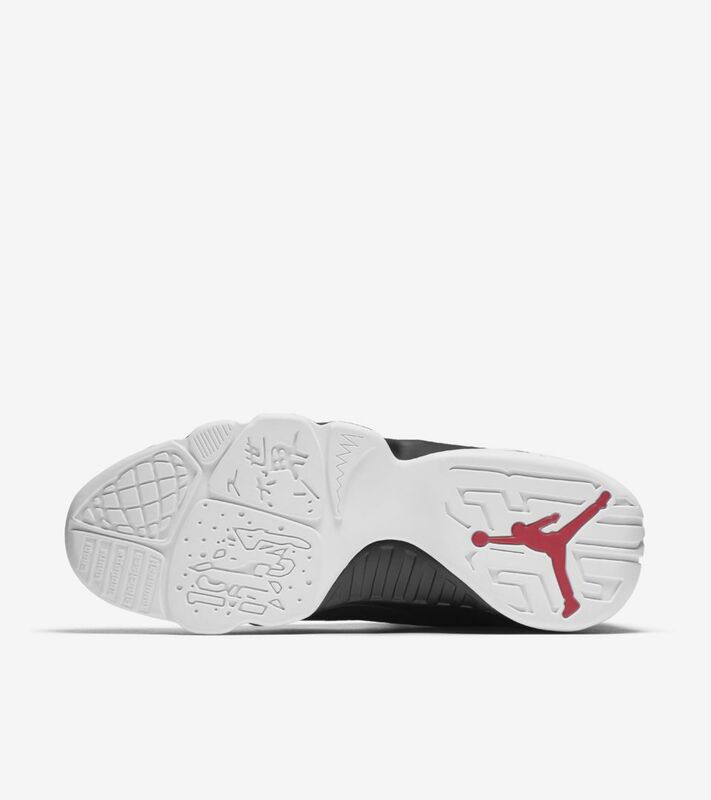 The classic design took inspiration from MJ’s global appeal with a unique outsole design and clean lines. 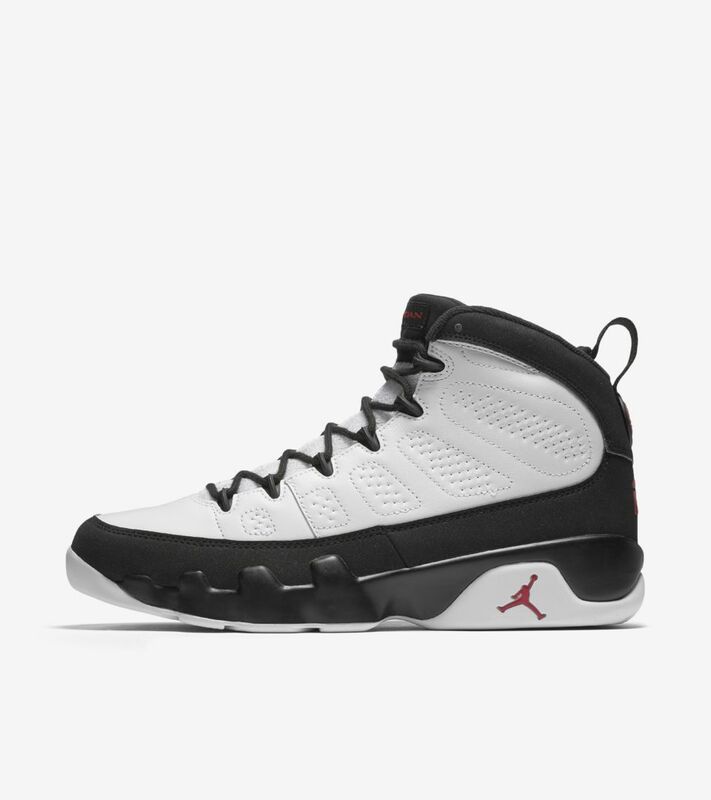 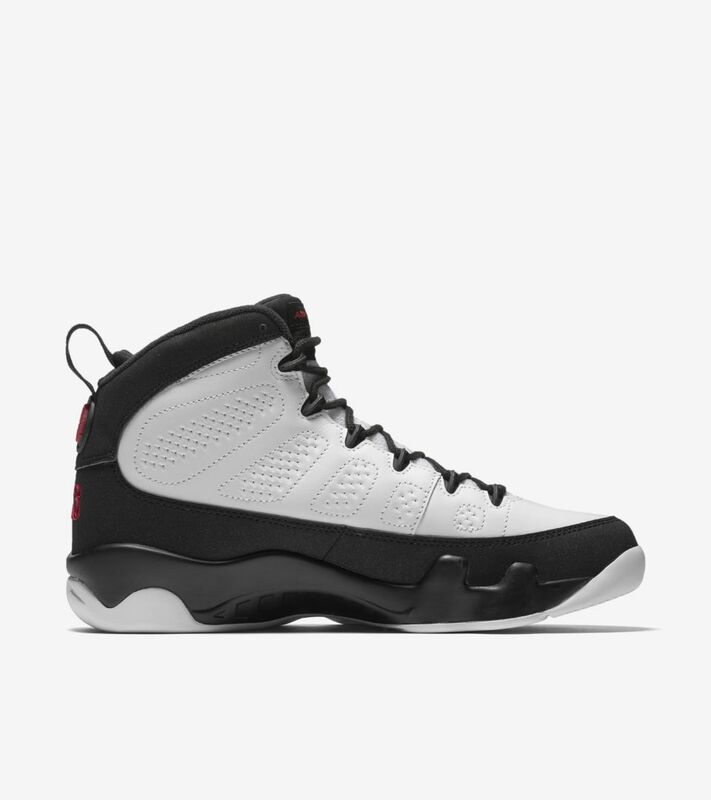 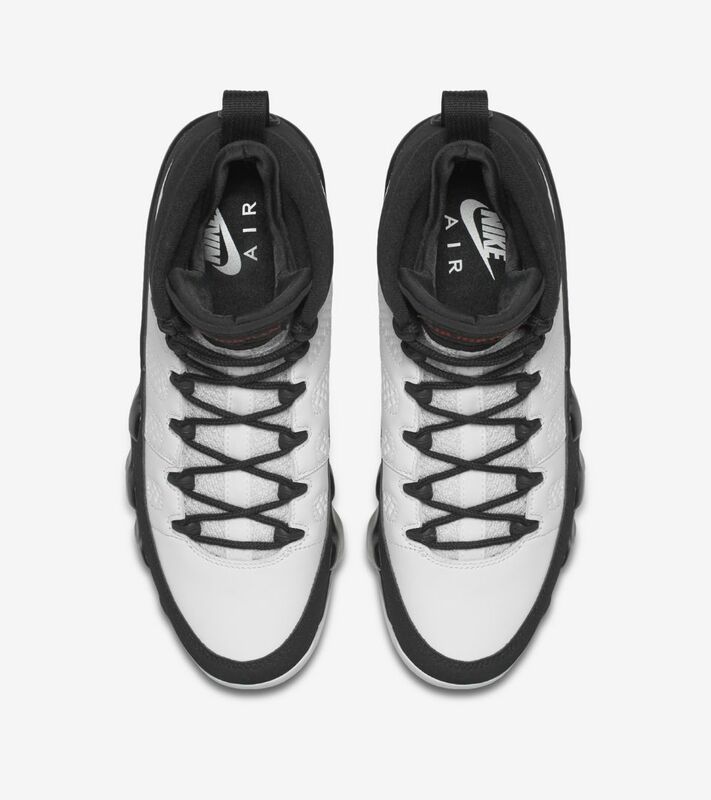 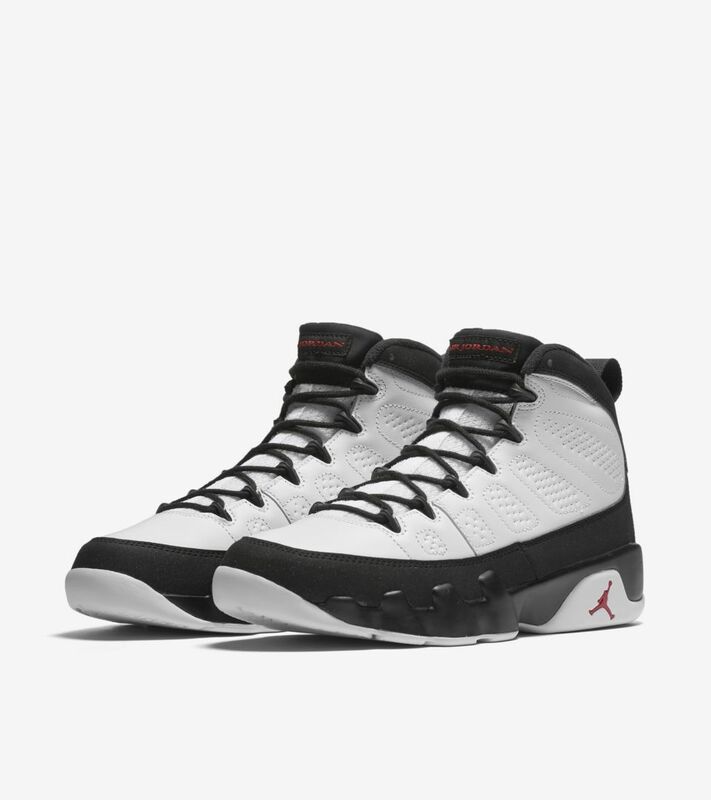 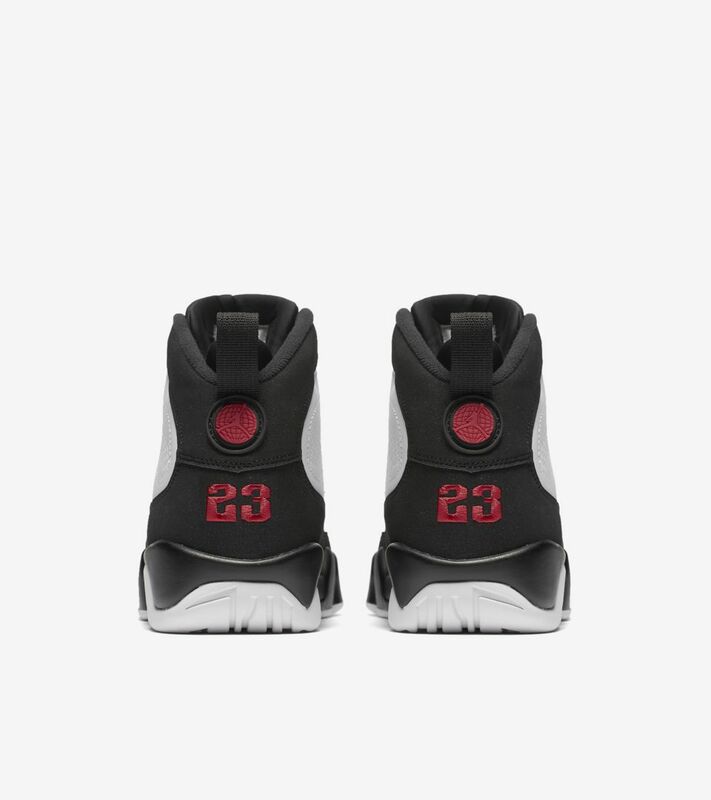 While the original Air Jordan IX was never worn on the wood by MJ, the icon is back and stays true to the original design with reinforced plastic lace loops at the toe, classic Nike Air branding on the sockliner and a timeless white, black and true red colorway.